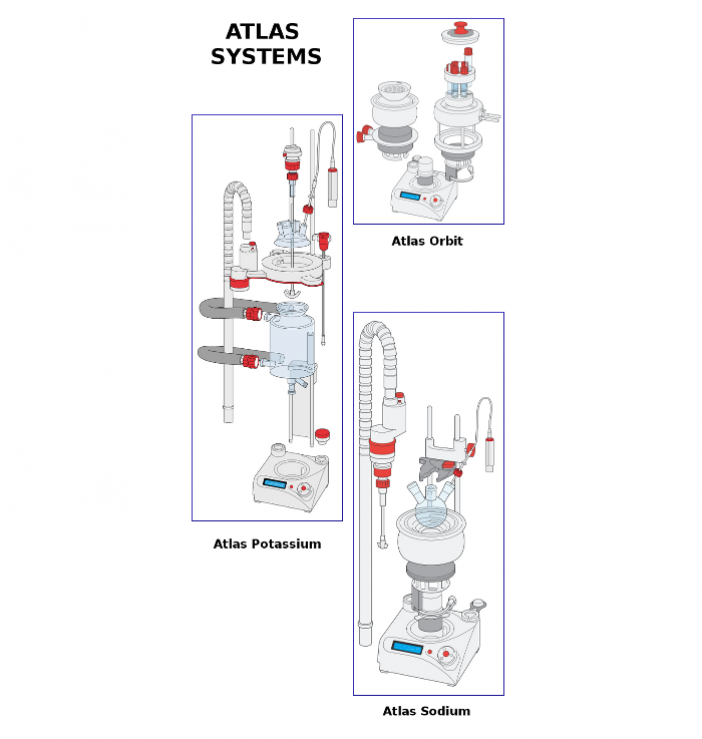 Atlas lab reactor is unique, and can be scaled in 3 ways: by volume (1ml – 5 litres), automation level (manually controlled or full automated laboratory reactor) and number of reactions (single or parallel reactors). Its unique design means it is fast and easy to change configuration from one to another without the need for tools. At the centre of every Atlas system is the Atlas base. It contains a powerful computer with chemically resistant mechanical and electronic connections. The base can monitor sensors and control process parameters such as temperatures, pH, turbidity, stirrer speed and reagent addition. Parameters can be defined as single setpoints or as sophisticated profiles. The base automatically logs all set points and sensor data which can then be downloaded in one file.